One thing that some Street Artists do when their work enters the white cube is drop the “street” from their official moniker, instead preferring to be known simply as an “artist”. The decision is possibly to rid themselves of any subtle class distinctions or otherwise negative connotations that a potential collector or curator may have with the “street artist” label. Other artists formerly known as “Street Artists” feel limited by the title because it doesn’t include all of their new interests and their complete practice – or because the term itself has evolved in their mind and the mind of the public to mean something unfavorable that they do not like to be associated with. 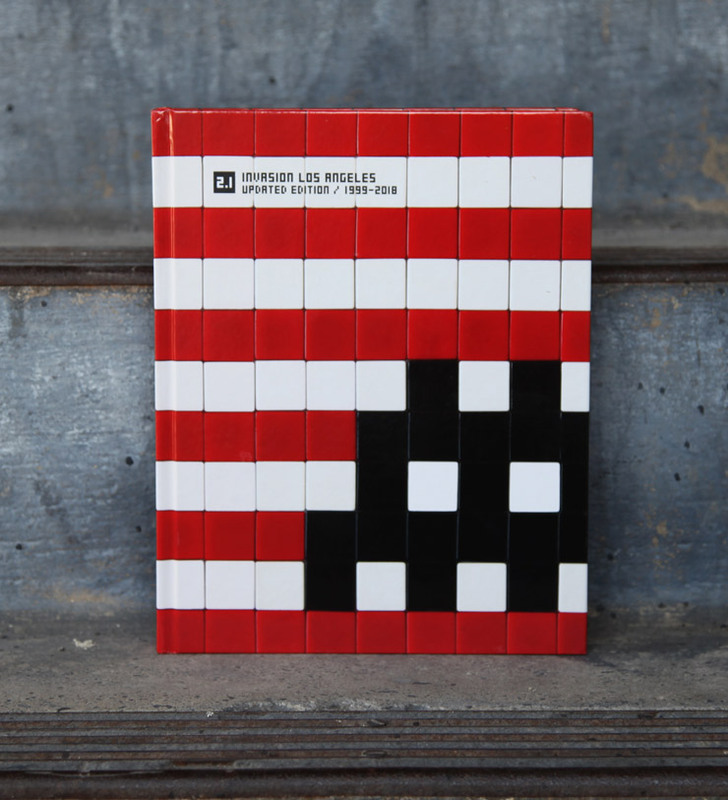 When it comes to the internationally renowned Street Artist Invader, its not a consideration – the street is in his DNA. His cryptic tile-made street practice is so proliferate across the world and so much a part of the metropolis like in his hometown of Paris that his art is literally and psychically fused with the city. The dude even has a global app that helps fans in about 80 cities to track and document his works, and some of the most dedicated have clocked thousands themselves. 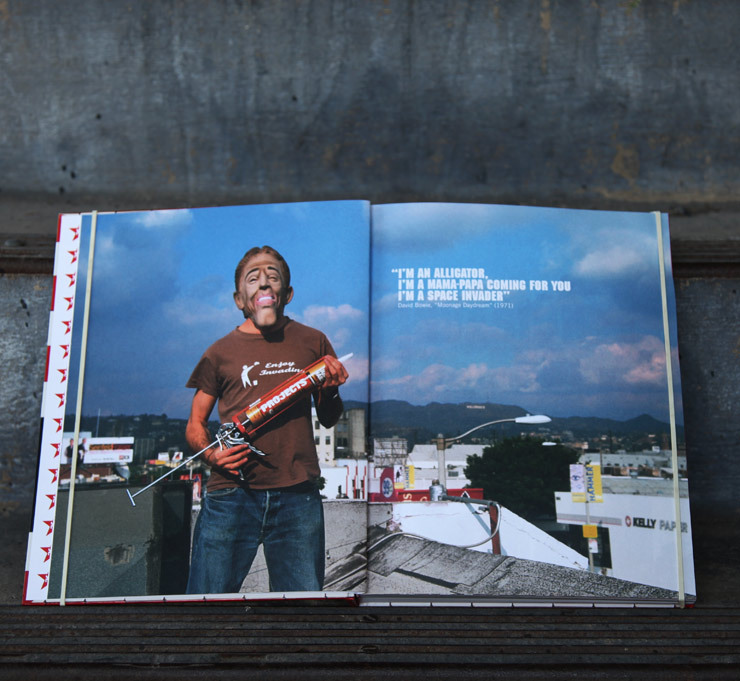 Now with two decades in the game and nearing age 40, the maker of thousands of pixelated video game characters and pop culture archetypes on walls has released an updated edition of his 2003 Los Angeles Invasion Guide and he stretches himself creatively with a new exhibition that opens this weekend at Over the Influence Gallery in LA. Called “Into the White Cube’, the show will have more than 50 new mosaic ‘Aliases’, an Invader LED piece, large-scale pin buttons, and an Invader Cinema. 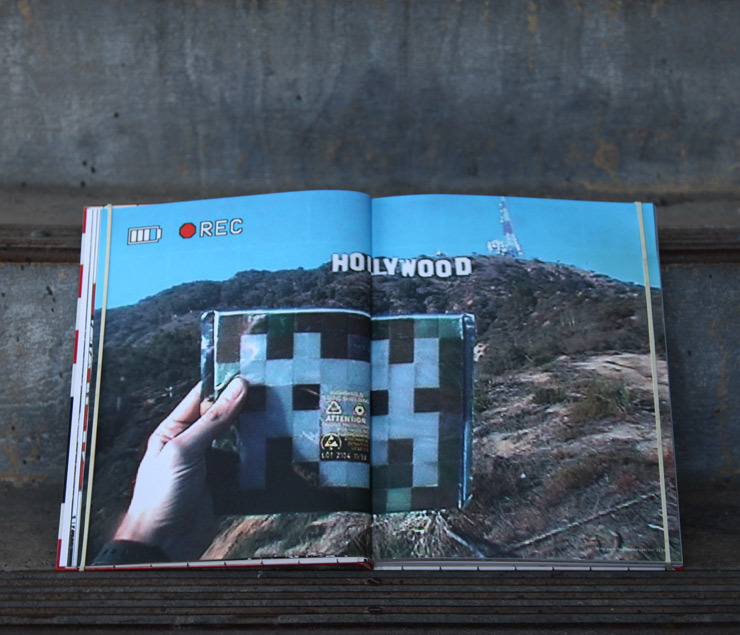 The event is huge, even for a Street Artist who can claim 200 pieces on the streets of Venice, Downtown LA, Los Feliz, at the LAX airport and even the HOLLYWOOD sign. 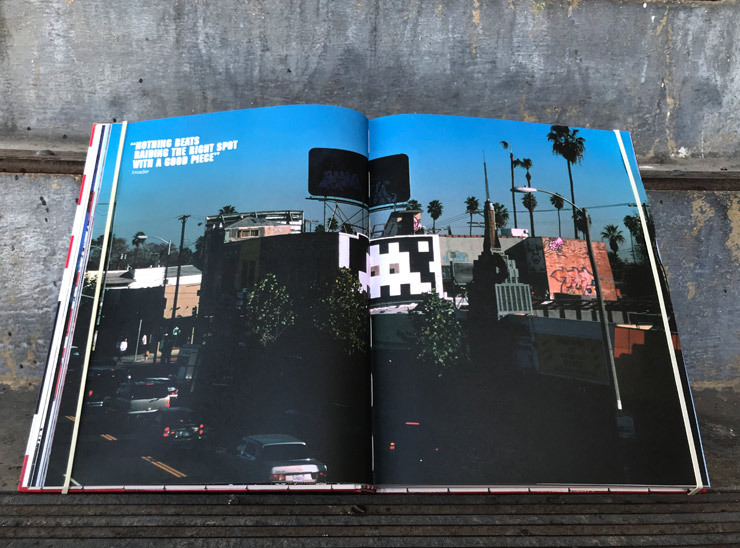 Today we have new images from Invasion Los Angeles 2.1, a breathtaking survey of his work there since 1999, introduced by artist, musician, and writer Bruno Blum who puts his finger on the pulse of this compulsive campaigner in his first “invaded” US city. “Invader lives for his art. He has a passion for what he’s doing. He’s a diehard. In ‘street artist’, there’s the word ‘street’. 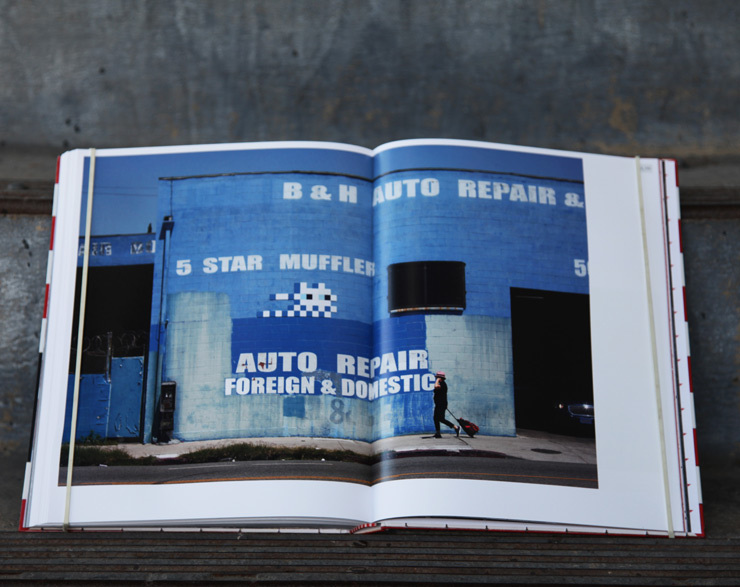 Invader is from the streets; and not from the Beverly Hills streets. He’s got fire in the belly, he’s got what it takes and he’s got it down,” writes Blum. 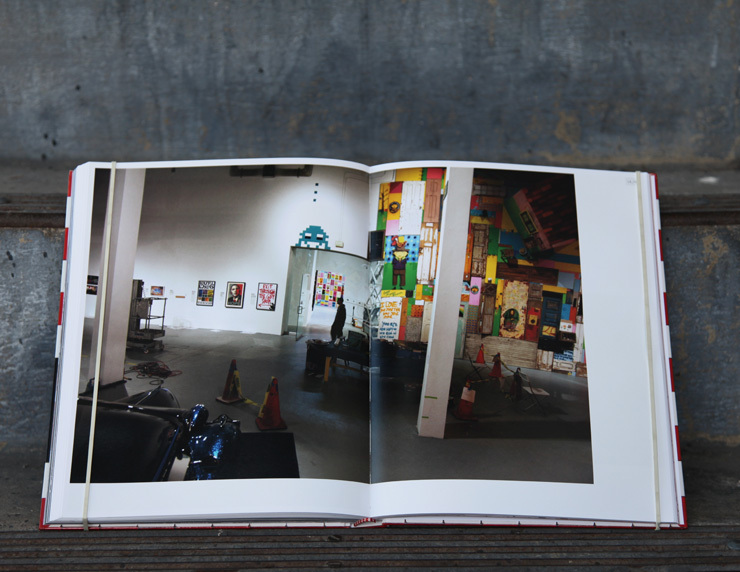 Full of personal accounts that shed a light on his process and mind and featuring shots of placements that are ingenious, often witty, banal, baddass, and seemingly impossible, the collection is a finally a revelation into the compulsive commitment that a Street Artist brings to the game. 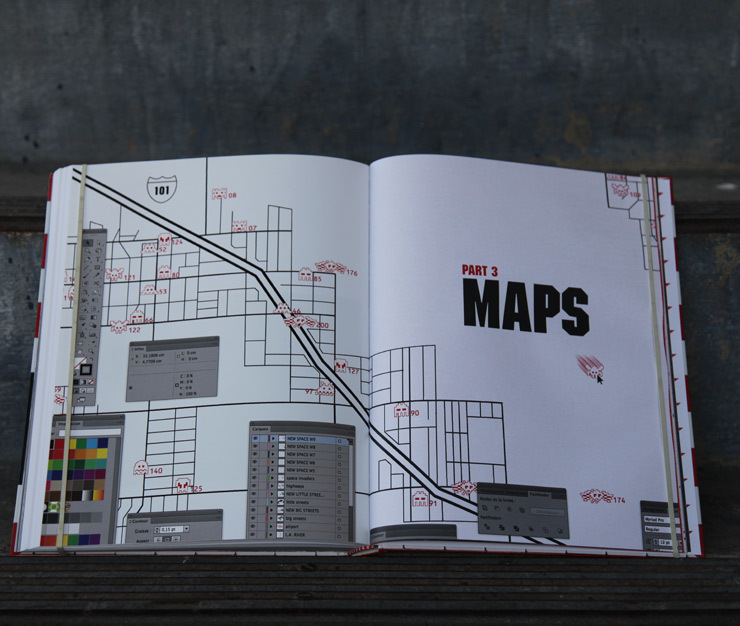 Helpfully, it also includes street maps. 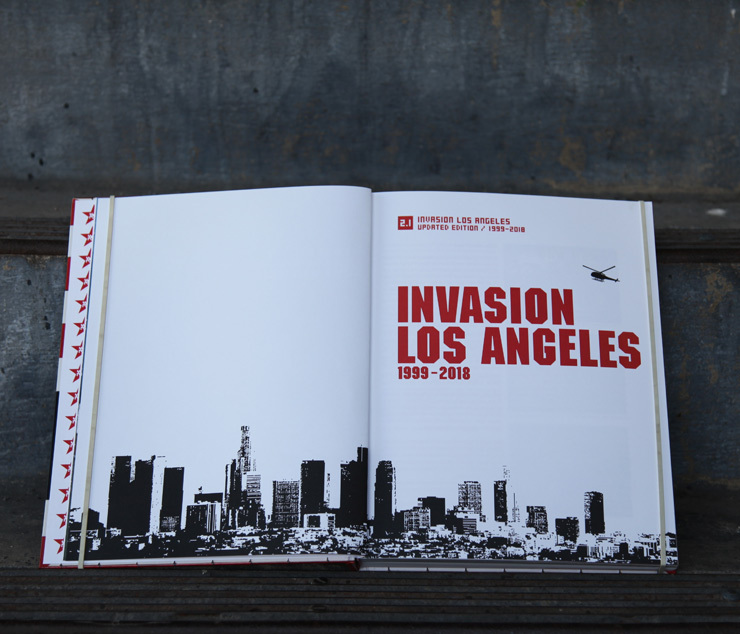 Invasion Los Angeles 2.1 / Updated Edition 1999 – 2018. 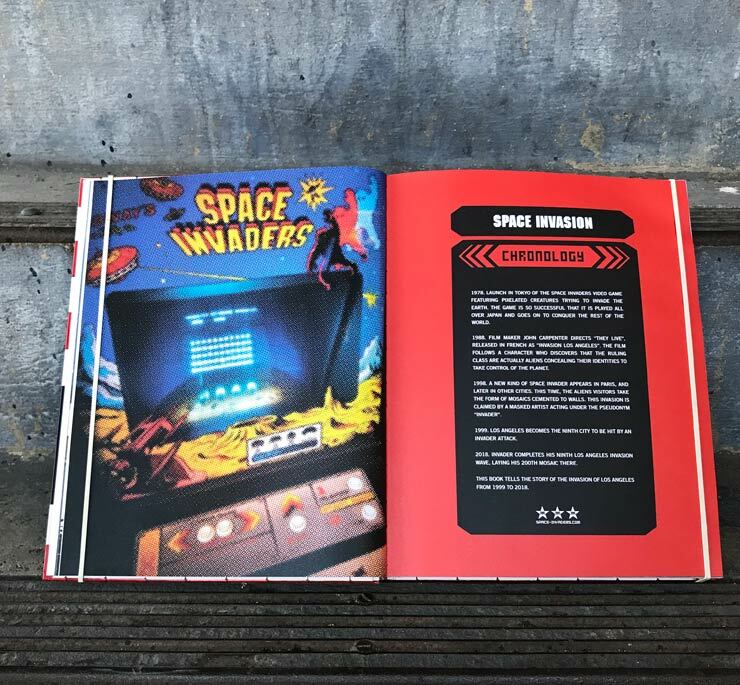 A Book By Invader. 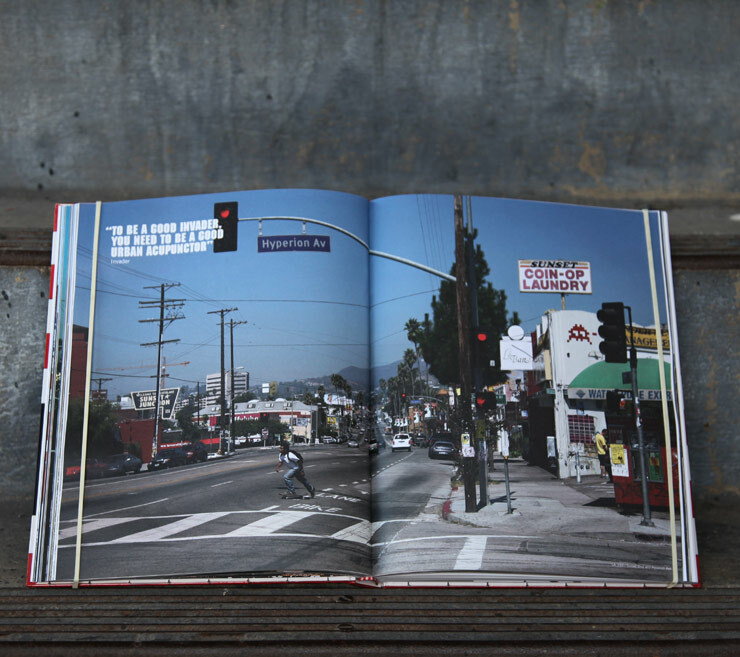 Published by Control P. Editions. France 2018. 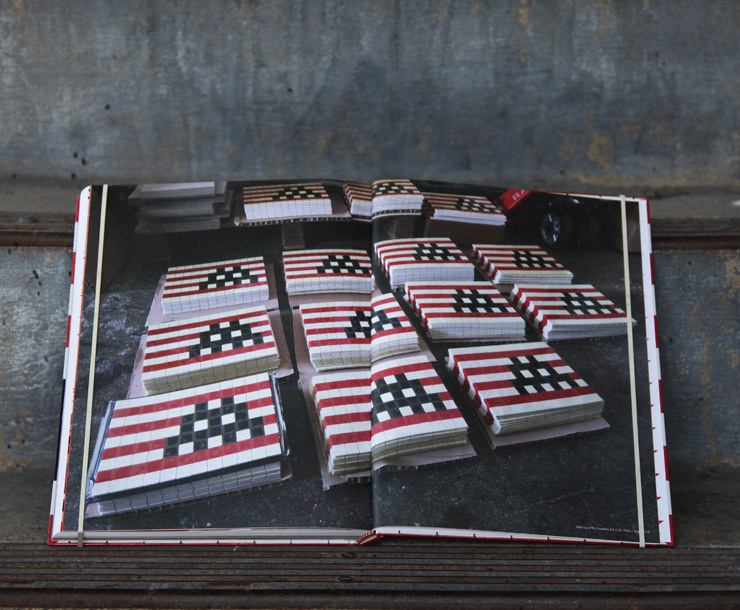 Invader “Into The White Cube” first solo exhibition in Los Angeles will open this Saturday, November 17th at OverUnder The Inlfuence. Click HERE for further details. Nomadé Gallops Through Los Angeles with "The Chariot"